Here's another collection of context-less Luther quotes: The Truth About Martin Luther and Why So Few Read His Works. Normally such a web page would be the handiwork of someone advocating Roman Catholicism. This web page though appears to be the work of what Luther would refer to as "Schwärmerei" or "Schwärmer." That's the term Luther used to describe the religious radicals of his day. This page doesn't have an author attributed to it, but it may be the work of the mastermind behind this web page. There are quite a number of Luther-related materials on this site, mostly dedicated to attacking Luther's view of baptism. In fact, the site offers a free 277-page pdf book dedicated to this topic: Martin Luther — Master Of Deceit, as well. I'm going to go through the quotes presented on The Truth About Martin Luther and Why So Few Read His Works web page (occasionally) over the next few months. Some of them I've covered already, some I haven't. "Luther was a troubled, surly, intemperate -- and occasionally even blasphemous -- man. Hardly the picture of a Spirit-led leader of the faith. Does this sound outrageous to you? Inconceivable? I'm not surprised. In fact, I myself was surprised to discover Luther's true nature. But once you read his own words, his nature is undeniable. In this document, you can review some of Luther's more surprising utterances for yourself. And don't think you can find them in any neighborhood bookstore, either. I had terrible trouble finding anything besides the great man's 'Small Catechism.' Even the highly sanitized anthologies of his work are not easy to locate -- if you can find them at all, it's usually in secular bookstores. Why the scarcity of Luther's writings in mainstream Protestant bookstores? I cannot speak from first-hand knowledge. But if you read the passages below, you may suspect — as I do — that Luther has been silenced because his true theology is an embarrassment to his followers. They would much rather propagate the image of the benevolent bombast, the passionate leader, the enlightened patriarch — because if people really know what Luther thought and taught, they would be appalled." Well, the Internet has plenty of Luther's writings. Often these are presented by Lutherans and those interested in the Reformation, and this is really the way people access most of their information now. But in regard to bookstores, it's actually not that sinister. In my area, there were a number of Christian bookstores. Now with the Internet and online shopping, most of them have closed up. When those stores were open, they were typically filled with trinkets and popular current books, many of which had little depth or substance. But, occasionally I would find a book by Luther in the Christian bookstore. The simple awful truth is that most bookstores want to sell books so they can pay their rent and feed their families. They need to sell books people want to buy, like a Joel Osteen book. Since his work extends to more than 50 volumes, we won't even try to give an overview here. Instead, we'll be selecting some of his more surprising — and, yes, inflammatory — ideas. For the strength of a chain is determined by its weakest links. Now, an objection by those who have not read Luther first-hand will be, "These passages are taken out of context, and therefore they cannot be trusted as accurate representations of Luther's thought." However I will give citations for each excerpt. Go to the source and see for yourself. You'll find that not one of these passages means anything apart from what appears here; indeed, I challenge you to try to imagine any context that could possibly change the meaning of these words. Luther's meanings are all too clear.A further objection is that other of Luther's writings can be cited that contradict some of what you find here. We would reply that self-contradiction does not make an individual more reliable, but less. Words do not mean what one wants them to mean. Rather, words are defined by their context. 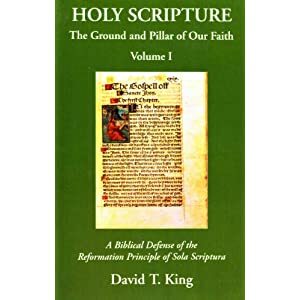 With any historical person, singular statements need to be read in context and properly placed within the contextual framework of of an overall theological paradigm and historical setting of that particular writer. In Luther's case, this is complicated by the fact that he lived in a different time period and in a different country. The goal of going through particular quotes is not to defend Luther as a Protestant saint. I see the study of any person in church history as an exercise in the love of God and neighbor. How do I love my neighbor in the study of church history? There probably are many ways, but the one that applies here is in my words. If I bear false witness against my neighbor, even if he's been dead for hundreds of years, I am not loving him. I say let the people in church history be exactly who they were, warts and all. Luther certainly had warts and sins, but he did not "kick the cat" as well on the way to posting the 95 Theses. That is, he is not as bad as many portray him to be. "Be a sinner, and let your sins be strong, but let your trust in Christ be stronger, and rejoice in Christ who is the victor over sin, death, and the world. We will commit sins while we are here, for this life is not a place where justice resides... No sin can separate us from Him, even if we were to kill or commit adultery thousands of times each day." ('Let Your Sins Be Strong, from 'The Wittenberg Project;' 'The Wartburg Segment', translated by Erika Flores, from Dr. Martin Luther's Saemmtliche Schriften, Letter No. 99, 1 Aug. 1521). Luther is actually saying that our actions -- even the most sinful actions imaginable -- don't matter! He is saying we can commit any sin we want -- willfully, presumptuously, purposefully -- and we will not offend God! After all, we require nothing more than "faith" to be saved. What we do is incidental. Of course anyone familiar with Scripture will point out that this is not a Christian teaching. For throughout the Bible we are told that sin separates us from God (Isaiah 59:1-2). No believer has a license to sin. Christians who willfully sin WILL be judged at the Judgment Seat of Christ (Romans 12:14; 1st Thessalonians 4:6). Documentation: The "Wittenberg Project" refers to Project Wittenberg, an on-line source for Luther-related documents. " 'The Wartburg Segment', translated by Erika Flores, from Dr. Martin Luther's Saemmtliche Schriften, Letter No. 99, 1 Aug. 1521" refers to this web page from Project Wittenberg. If one looks at the page carefully, it isn't "The Wartburg Segment" but rather It's a letter Luther composed "From the Wartburg" and only a segment is translated. I've written an extensive treatment of this quote: Did Luther say, “Be a sinner and sin boldly”? A Look at Justification By Faith Alone and Good Works in Luther’s Theology. Therefore let us arm our hearts with these and similar statements of Scripture so that, when the devil accuses us by saying: You are a sinner; therefore you are damned, we can reply: The very fact that you say I am a sinner makes me want to be just and saved. Nay, you will be damned, says the devil. Indeed not, I reply, for I take refuge in Christ, who gave Himself for my sins. Therefore you will accomplish nothing, Satan, by trying to frighten me by setting the greatness of my sins before me and thus seducing me to sadness, doubt, despair, hatred, contempt, and blasphemy of God. Indeed, by calling me a sinner you are supplying me with weapons against yourself so that I can slay and destroy you with your own sword; for Christ died for sinners. Furthermore, you yourself proclaim the glory of God to me; you remind me of God's paternal love for me, a miserable and lost sinner; for He so loved the world that He gave His Son (John 3:16). Again, whenever you throw up to me that I am a sinner, you revive in my memory the blessing of Christ, my Redeemer, on whose shoulders, and not on mine, lie all my sins; for "the Lord hath laid on Him the iniquity of us all" and "for the transgression of His people was He stricken" (Is. 53:6-8). Therefore when you throw up to me that I am a sinner, you are not terrifying me; you are comforting me beyond measure[Ewald Plass, What Luther Says 3:1315]. Thanks for devoting a post on this website. I came across this fundamentalist web site a few years ago and he is one of those who has not read Luther. He does not read Luther too, and has no inkling of the use of hyperbole during medieval times.